We believe everyone should celebrate their heritage with pride! 3ft x 2ft polyester flag. Double stitched. Brand new. 2 Grommets for easy hanging. 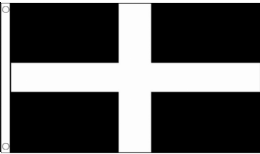 Fly the flag for the Duchy!